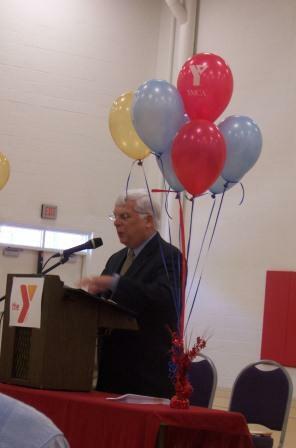 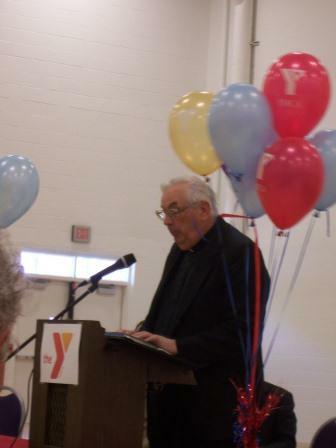 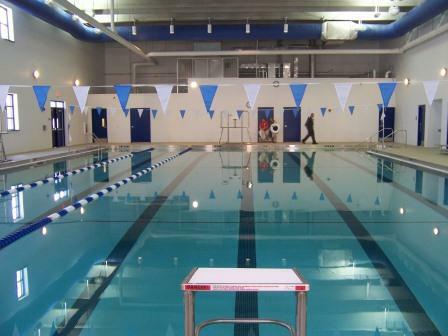 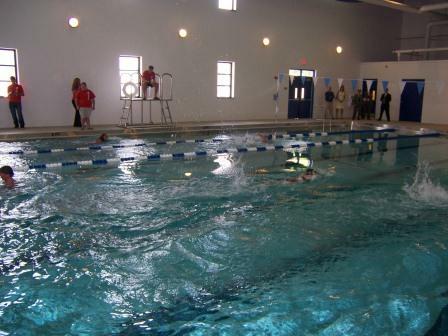 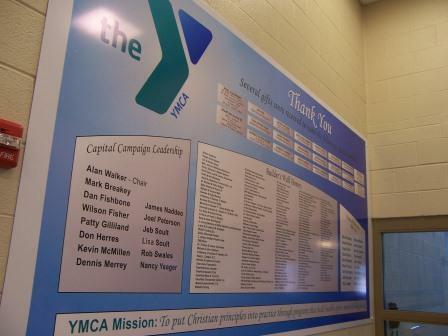 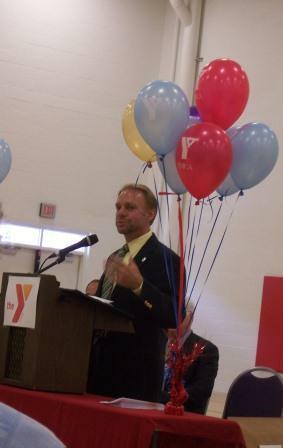 On Friday, diginitaries and the public gathered to celebrate and tour the new Clearfield YMCA facilities. 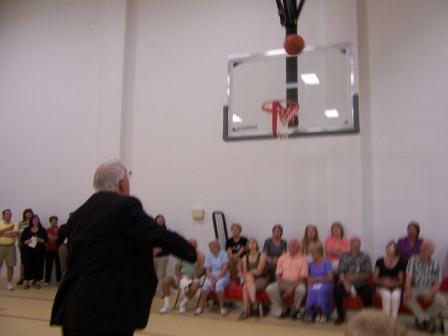 Below is a photo essay of some of the event and the new facilities. 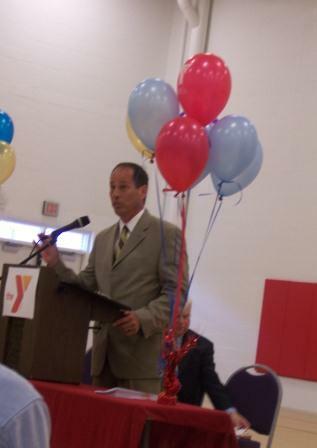 Log on tomorrow for the full story, including comments from DCED Secretary C. Alan Walker, Sen. Joseph Scarnati, and more. 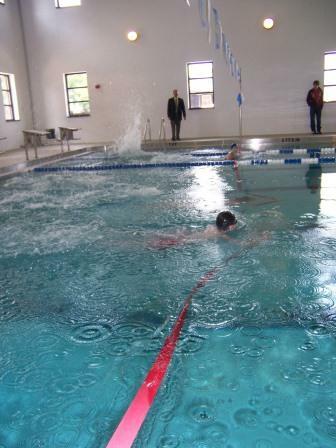 The $4.3 million project includes the addition of a new 6-lane competition indoor swimming pool, a new full-sized gymnasium, new locker rooms, offices, community meeting room and much-needed handicapped accessibility via the installation of an elevator. 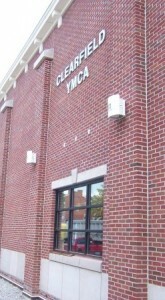 This is a landmark project for the Clearfield YMCA which has been serving the Clearfield community for over 109 years in its current downtown location. In addition to being able to provide extended services to the community, this new state-of-the-art facility will help broaden the revitalization of the heart of Clearfield’s downtown area.